All week I'm going to be sharing some sneak peeks for our show on Friday... here's #1! 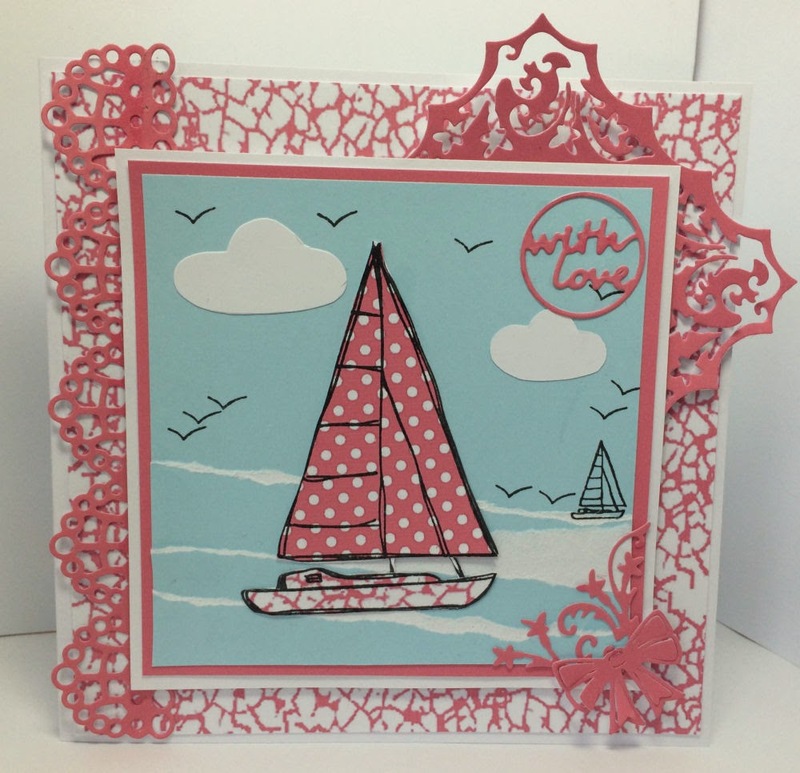 I'm a little later than usual with this months challenge at Tattered Lace which is Elegance... it's been so fun to make! For this card, I've used some backing papers from our upcoming CD which launches on Create & Craft on the 4th of July (we're excited!). 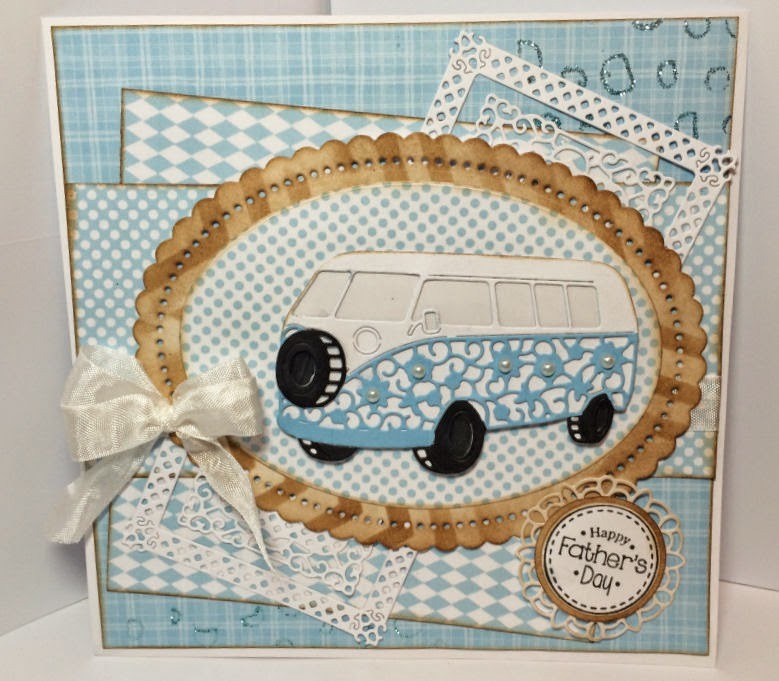 I also got a little overexcited about the new Tattered Lace Embossing folders which are the Pick of the Day on Tuesday 1st of July over on Ideal World, and grabbed the last in stock at Hobbycraft! 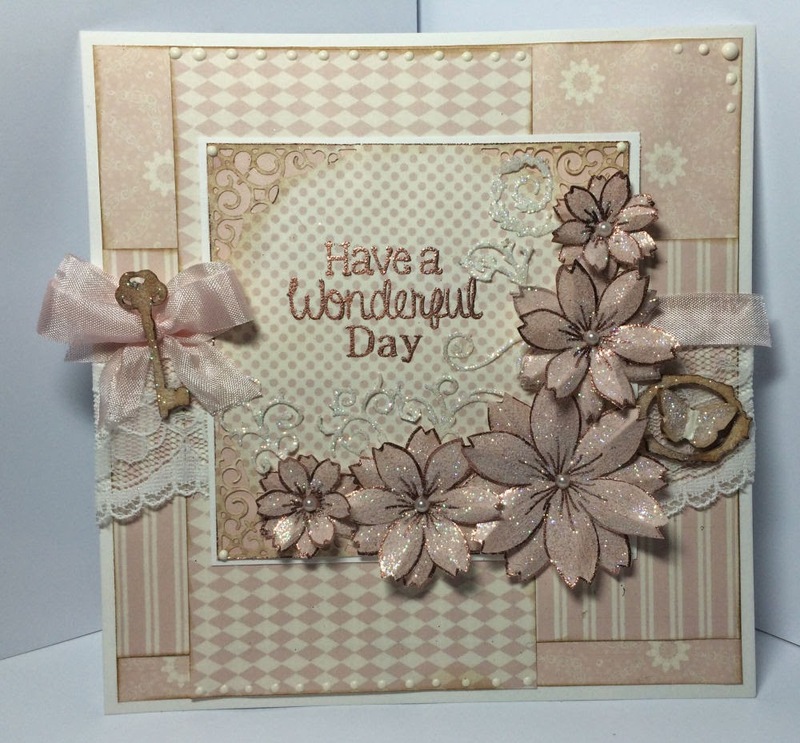 This embossing folder is called Rose Garden and is absolutely beautiful! I added a strip of Luxury Lace across the centre of all my layers which is available here! My topper is our Elegant Dress stamp and has been paper pieced with some Lilac paper from the CD and overlayed with Diamond glitter! 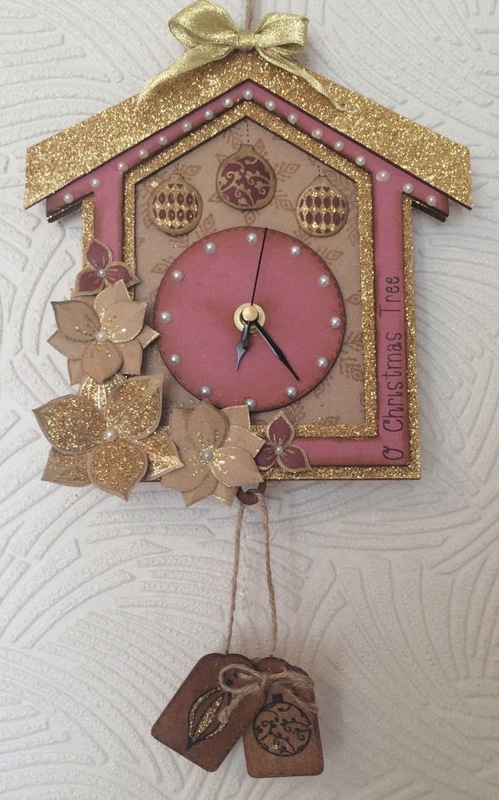 I die-cut it using the Scalloped Oval from the Kedleston set twice, once from lilac and once from white, trimmed around the decorative dots and then layered them on top of one another. 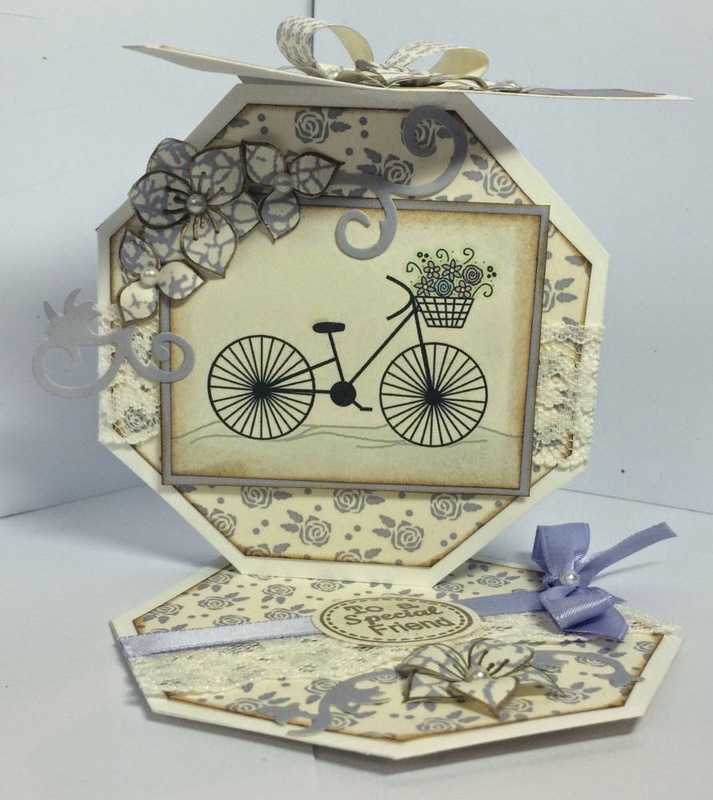 To embellish, I've used our Beautiful Blossoms stamp set, stamped onto patterned paper, creased down the centre of the petals and then layered up. Then to accent them, I've used the die that was free with the Tattered Lace magazine Issue 6 (Large Flourish) - it's fabulous for chopping up and poking out of flower arrangements! I've used the Chelsea corner die to embellish opposite corners to the two flower arrangements I made, and a pearl to accent it! 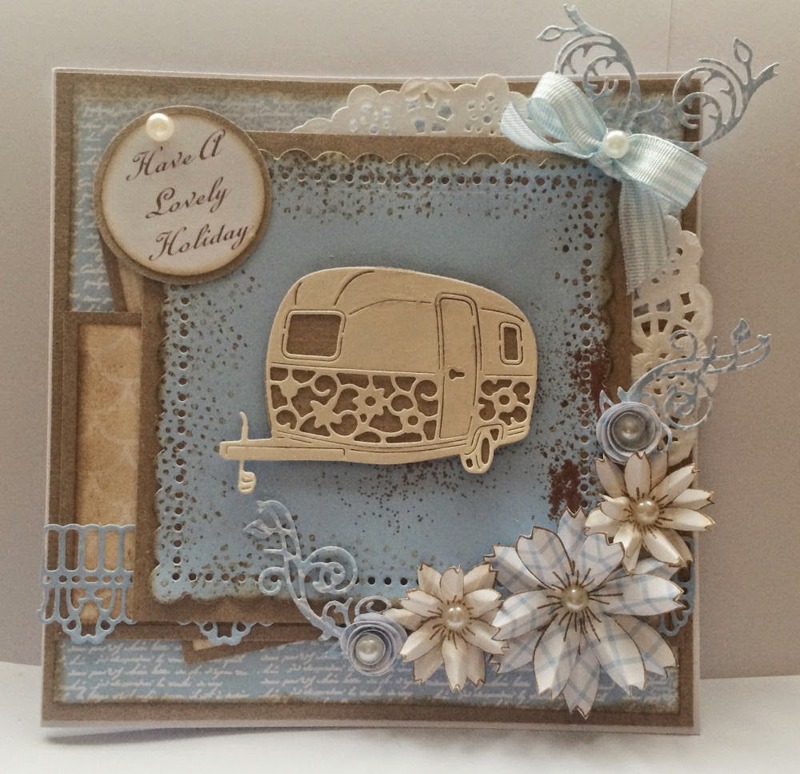 I've got a card for you today and a little tutorial - I get asked such a lot at shows and via email about glittering with a double sided sticky sheet so here's my little 'how to'! First off... here's my card! 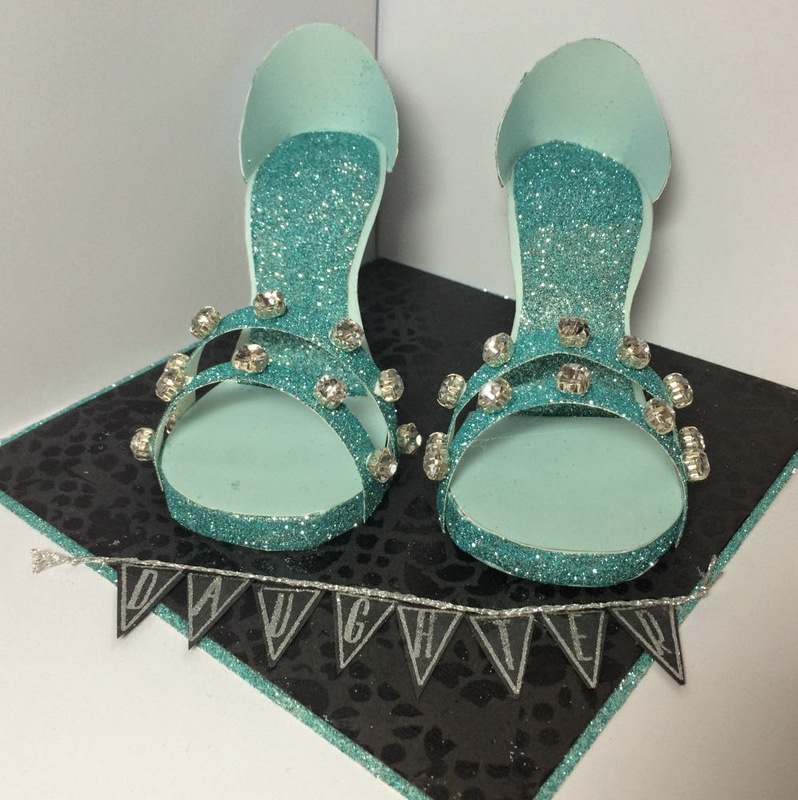 For this one, I've used paper from Pretty Projects Templates & More in Lilac and my topper is the Dotty Shoes from our Handbags & Shoes stamp set! The glitter colour I used was Luxurious Lavender! I used some of our Luxury Lace collection (which is almost out of stock at the moment on C&C! ), some of the gorgeous Assorted Pearls (again, almost out of stock!) and some American Seam Binding for the bow/ribbon! My sentiment is taken from the Butterflies stamp set and flowers to embellish are from the Large Essential Flowers, Beautiful Blossoms and then a couple of twirly roses from the CD. 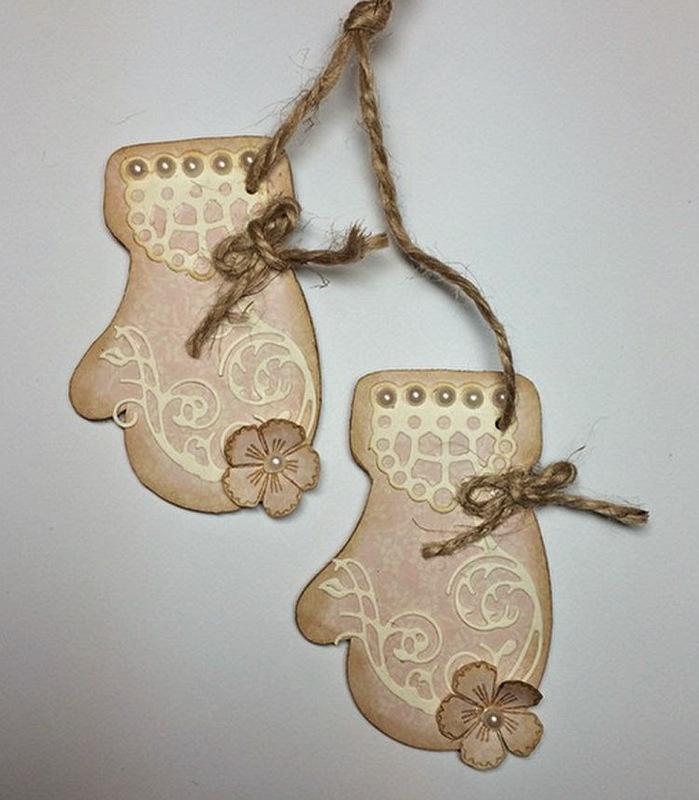 And finally, a little key embellishment from our Lasercuts! First off, I stamped out the image twice - once to colour and once to cut up. I coloured the areas that I didn't want glittered with my Graph it markers on the first image. I peeled off the backing (I find it easier to take off the backing so I can see my lines properly rather than cutting through the backing sheet) and cut out the areas I had coloured on my first image. And then add the glittered shoes on top of the coloured shoes! Hope that's a little bit of help if you weren't sure how I achieved this effect! I'm sorry for the mass post here, but it's the most convenient way to share so many pictures at once! We had such a fantastic show on Friday that I've only just got around to sorting out pictures of all the samples... most of which we didn't get time to show! And finally, these were to showcase the glitter collections... you can pick up the Vibrant and Pastel online still!